Market Research, one of the key strategies employed by companies worldwide started with a man in the late 1920’s. Often called as the Father of Public Relations & Market Psychology and named one of the most influential Americans of the century by Life magazine, Edward Bernays structured the very concept of contemporary marketing and advertising. What is a Market Research Survey? Market research survey helps to understand the behavior of the market, usually before the launch of a new product or expansion of an existing one. To scale a successful business, it is crucial to identify your target customers, their needs & requirements, and what they expect from you. Market research survey is the sure-fire way which can help you get accurate information on virtually anything about the market; customers as well as competitors. By identifying and predicting customer needs, you can serve them better and provide exactly what they look for. Market research takes a pivotal spot in any company’s marketing blueprint. It encompasses market approach techniques, consumer needs and wants, and resource allocation to steer your company’s strategic activities based on current market weather. Successful products have creative and well-planned market research strategies behind them, paving the way for customer appreciation and satisfaction. What Does Market Research Survey Mean to Your Business? When you build your product, you will leave no stone unturned in ensuring that it is an instant success. Therefore there's no room for guess-games and instincts that are insufficient and foolhardy, to an extent. It is always wise to know your market, size it up appreciably before you take the plunge. This is owing to the fact that the conditions surrounding your business can fluctuate dramatically. A new policy, a new trend, a growing need for consumers, the level of competition and so on can change the functioning of the market quickly. Station your product: This involves finding out whether it is wise to launch your product in the target market. Will your product be redundant in a market that's already overflowing with similar ones? Is there any other geographical location or different demography where your product has the best chance of succeeding? Gauge your competition: Your product would be locking horns with the key players in the market. So before you venture out, you should know what to expect from the market. Consequently, you can avoid ending up like a lost child in a crowd. Coin your price: When you penetrate the market with a new product or expand an existing one, the pricing strategy you opt for would be different for the two. But to put a price on your product, you need a comprehensive analysis of how much your customers are willing to pay along with the competitors' price. Surely no one would think twice about avoiding an overpriced product! How to Build a Market Research Survey? Building a market research survey wouldn’t take much time or effort. But creating an excellent market research survey would require you to keep in mind a few crucial points. These can come handy to help you create a survey which can effortlessly bring data; the dos, the definite don’ts, the next course of action, and the areas that require some serious attention and action. 1. Identify the purpose: Uncover the very purpose of conducting market research. What is it that you wish to find out from your consumer or market? Once you isolate the purpose, it would be very easy to keep a laser-sharp focus on it. Thus, you can eliminate any unwanted detours in the wrong direction. 2. Select your audience: Once you know what the purpose of your market research is, the next step would be to figure out who would you like to know all this from, ie, your audience. Choose your demographics wisely since they can significantly affect your business, whether a startup or Fortune 500! When you target the right people, you will get the answers you were looking for and possibly weren’t expecting to get too! 3. Create your market research survey: You know the purpose of the research, you know whom to ask, the next step is just to ask now! Merely asking won’t fetch you answers, what you ask and the way you ask makes all the difference. Create engaging surveys and don’t wander off into irrelevant territories. Also, don't restrict yourself to simple and conventional ‘Yes/No’ or the, ‘I strongly agree/disagree’ questions. They have a big role in bestowing the negative image online surveys have. The more engaging your market research survey is, the more honest answers you’ll get. Survey abandonment and survey fatigue are challenges that data collectors face, even now. You can solve this issue right here as well. Test it with a small group before you send it out to a large group. 4. Share generously: Until recently, companies shared market research surveys on limited channels. But now, say yes to more! Email survey, web links, social media, SMS surveys- more the channels the better, more the reach the better. Provide a coupon if your audience completes the market research survey successfully. Don’t miss any opportunity in reaching out to them. 5. Collect data, create information: Once you get the market research survey responses, you have crude data in hand. Turn this data into refined information using the reporting module of your market research survey platform. Consequently, you can use this information for extensive studies and analysis. 6. Analyze and act: You have all the information needed in hand, now take measures to implement things. It would all mean nothing if you aren’t planning to take any measures after analysis. How to Use Panels to get Your Audience? Audience Panel is a group of individuals who are using or have used a particular product and provides feedback on it. Such a panel mostly consists of people, belonging to different backgrounds, who are picked out to get feedback. It is a form of preliminary market research which gives you untainted, raw reviews on the actual product itself. This is very crucial since it can help you pick out the selling points and the flaws. Consequently, you can improve the product before penetrating the market and make it a perfect market-fit. So how can you use audience panels for your market research? The first and primary step would be to identify the key purpose of the research you wish to conduct. Specifically, have a picture of the nature of data you want to collect from your target audience. Now, you need to identify the target audience. Targeting anyone who could be interested in what you offer is not smart. This vague approach would wither before it blooms. You can profile your audience based on various demographics like age, gender, location, ethnicity, income, employment etc. Create a market research survey questionnaire which is relevant and precise to capture all the critical data points you want. Most of the survey tools have survey templates that give you a fair idea, but you must customize the template so that it fits your needs. A tailor-made market research survey that projects the data points best can garner you with profound insights. Ensure it measures customer satisfaction surveys, their expectations, and improvements needed. Analyze your data and figure out the direction in which you would steer your product as it enters the market. A good market research survey tool will help you identify the blind-spots and render a top-notch product before your consumers. A good market research survey platform helps you gather fine data about market behavior, consumer trends, and competitors. Consequently, you can gauge the right path to launch a product or improve an existing one. Once you have located the decisive data points, it’s time for in-depth analysis. 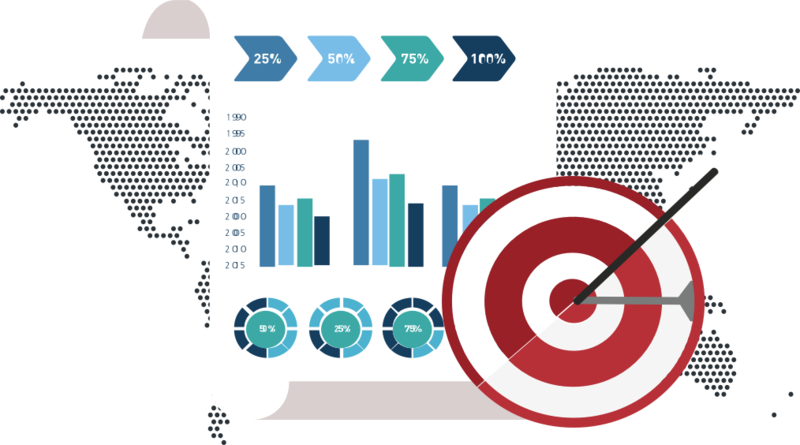 A good market research survey platform will provide you dashboard to gather insights about the survey results. With SurveySparrow, you can easily create engaging market research surveys and share it with your target audience via different channels. These channels include email surveys, web links, SMS option, and embedded surveys. The rich dashboard of SurveySparrow offers detailed analysis that can aid you to identify and understand the multiple facets of your research. With advanced filters, you can precisely extract responses and sift the information you require from the rest. This multi-dimensional approach will ensure you don’t miss out anything crucial! With a great Market Research Software by your side, analyzing your survey results is a cakewalk. Once you know where to go, it’s a matter of packing your bags and venturing out. A faltering internet connection that's blocking with your live product feedback collection from your audience? Our offline survey app zooms past to solve this in a jiffy! When you have all the necessary cogs in place to run the wheel, a smooth ride is guaranteed. So conceive the idea, devise the strategies, and put together a great plan. Your product would take the market by a storm. Why wait anymore? Sign Up with SurveySparrow right away to execute flawless Market Research Survey. Get started with the Market Research Survey Template we have created for you! Execute a flawless Market Research to get a 360-degree view of your target market. Explore your target market along the length & breadth with our Market Research Tool.